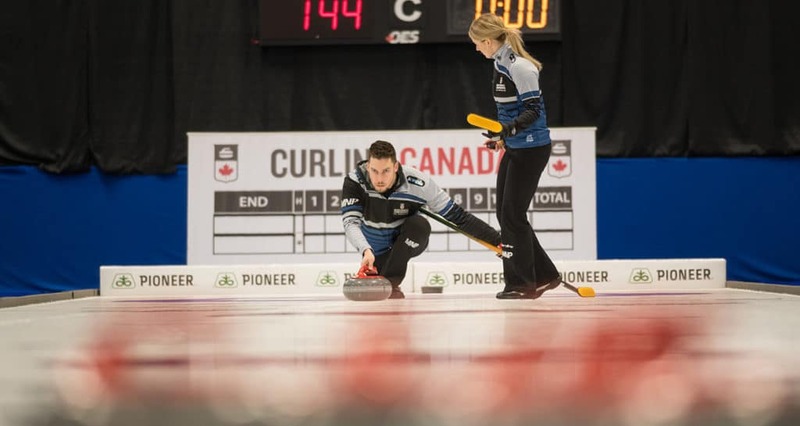 The teams hail from coast-to-coast-to-coast and together create one of the strongest fields to compete for a Canadian mixed doubles title yet. Defending national champions Laura Walker and Kirk Muyres are attempting to become the first duo to win back-to-back titles. But there’s a plethora of Olympic, world and national champions they’ll have to battle through to be victorious next Sunday. Last year’s finalists, Kadriana Sahaidak and Colton Lott, are back in the mix and have built momentum off of a victory at the most recent Curling World Cup. 2016 mixed doubles champions Jocelyn Peterman and Brett Gallant are aiming to win a second national mixed doubles title. 2018 Olympic mixed doubles gold-medallist John Morris is in the field this year with Jolene Campbell, while 2017 mixed doubles champion Reid Carruthers is in Fredericton with Kate Cameron. Other notable names at the event include the powerhouse duo of Jennifer Jones/Brent Laing, Shannon Birchard/Catlin Schneider, Kristen Streifel/Steve Laycock and Bobbie Sauder/Brendan Bottcher. Kira Brunton, who won the U SPORTS national title earlier on Tuesday in Fredericton as skip of the Laurentian Voyageurs, will represent Northern Ontario with partner Tom Leonard.